The first thing everyone thinks about when they hear the word "animation" is the Disney feature films. Other studios have also entered the animation game. Universal, Warner Brothers and Dreamworks supply features as well. But today "character voices" are used in direct-to-dvd features, video games, character commercials, TV cartoons, toys... the list goes on and on. Here's a look at those markets for talent with a knack for funny voices. Many feature films do use non-celebrity talent. And many films that started out as theatrical releases have sequels that go direct to video. The Universal series "Land Before Time" is up to Land Before Time XIII. Another type of series is Japanese Anime. Most anime is a series so if you're cast in a role in one movie you might do many more. There are also many student films and shorts that you can voice to gain experience and credits. With the success of The Simpsons and Family Guy, television animation has come into it's own. There are several different types of this format however. First, there are the traditional Saturday Morning cartoons. The list of these is legendary: Transformers, My Little Pony, the Smurfs, Pound Puppies, Ghostbusters... ahh, those were the days. And there are the weekday cartoons. Think of Duck Tales, Dark Wing Duck, Batman, Gargoyles. As cable advanced several channels appeared that feature cartoons: Nickleodeon, Disney and Cartoon Network for the kids and Adult Swim and Spike for the adults. 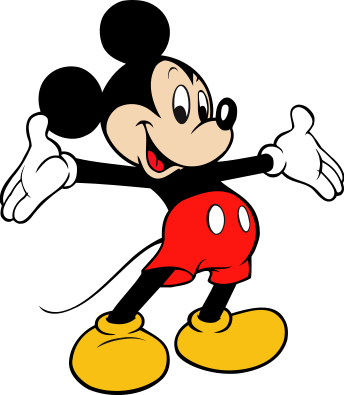 Most of the work is voiced in Los Angeles, home of Universal, Disney, Warner Bros. Dreamworks, Nickleodeon, Film Roman, Cartoon Network, Dic, Klasky Csupo and many smaller development studios. The video game market is now actually larger than the motion picture industry! With these developments a new style of acting was created: voice acting for video games. The skill required is to act out many unrelated lines as well as the grunts and groans required to do battle. Character voices are also used in television commercials that use animation. Old favorites like Tony the Tiger or the Pillsbury Doughboy and the ubiquitous Raid Bugs are examples. And radio uses character voices in the "partner read" commercials: George Washington talking to Martha Washing about the Presidents Day Sale for example. A whole new universe of animation is opening up on the internet. A technology called Flash Animation is used to create low bandwidth cartoons. This is most often seen in the greeting cards that have animated characters. And the internet has many venues for animated shorts such as You Tube. so how do I get work in animation? There's a saying in the animation business that you need thirty voices but you'll actually use three. It means that you need many voices. So work on developing lots of different voices and dialects. And give these voices names and personalities. Pay attention to the character's personality and how he reacts to the other characters. Remember animation performance is voice acting. So work on portraying emotions and attitudes with your voice. Keep track of your characters with a character list. get training and get an animation demo! 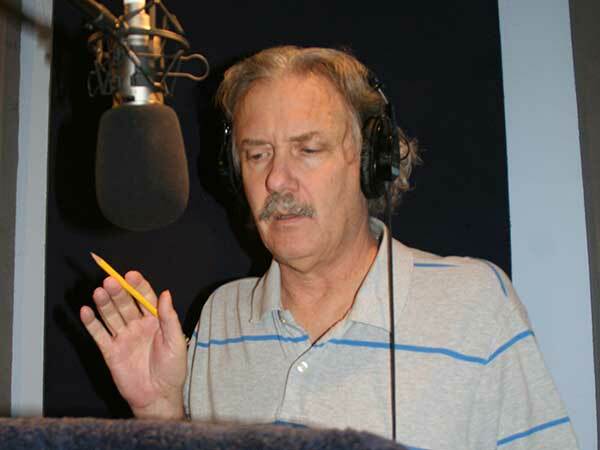 You should take animation voice over classes to perfect the skills needed to compete in your area. Then you need to create a professional animation demo. The voice-over demo and your character list are your calling cards in the world of animation. Send your demo to production companies and advertising agencies in your area. Enclose a cover letter introducing yourself and a resume of any voice-over experience that you have. Your demo can be in MP3 format and can be emailed to reduce expense. If you don't live near Los Angeles or New York, concentrate on characters for radio and television commercials and work on the internet. Only when you are making a living in your area should you consider moving to L.A. Los Angeles is the center of animation voice over in the U.S. but it is VERY COMPETITIVE. You can also locate character work through either of the two online voice over job posting sites: voice123.com and voices.com. Both services are free to try out but require a fee to truly utilize. You'll get many leads for voice over jobs to audition for each week and the jobs have quite fair pay rates. To do this you need a voice over home recording studio. You'll do most of your auditions and much of your work from home. The good news is that you can compete for jobs all over the world. Sign up for our next Animation Class! I want be in the next Disney feature film! I get calls from folks that set that goal as their starting point. Unfortunately this is probably an unrealistic goal. Most of the roles in feature films are played by well-known actors. Although famous actors have been voiceing cartoons for decades, recently is has become a marketing ploy to advertise the stars that are in the film. This has essentially locked out all but the most skilled unknown voice actors. But fear not! There are plenty of other satisfying and lucrative animation jobs out there. And if you want to be in the next Disney feature cartoon? Well, first become a movie star... Click HERE to see our Animation Voice Over Classes!